Harajuku girls in pastel streetwear fashion w/ jacket over peter pan collar shirt, denim shorts, leg warmers and platform creepers; and colorblock coat over turtleneck sweater and ruffle skirt, pink boots and bags. 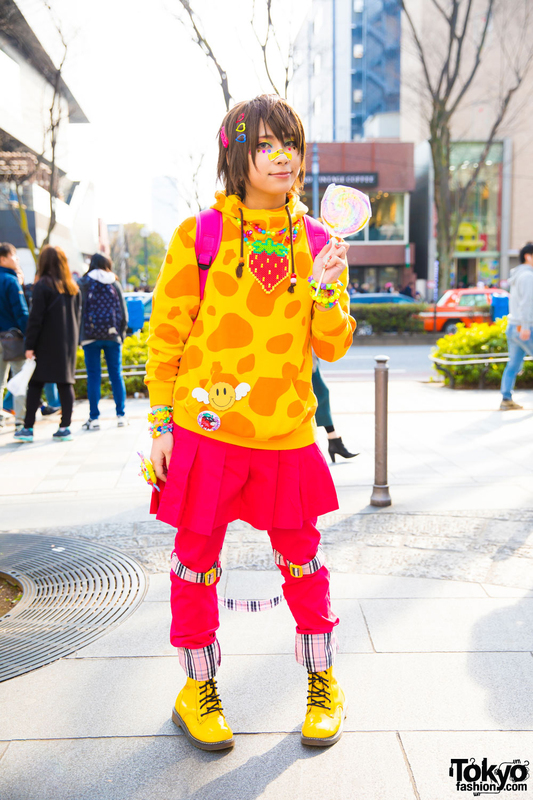 Harajuku Decora in Colorful Fashion w/ Monomania, 90884, Listen Flavor & Ensemble Stars! 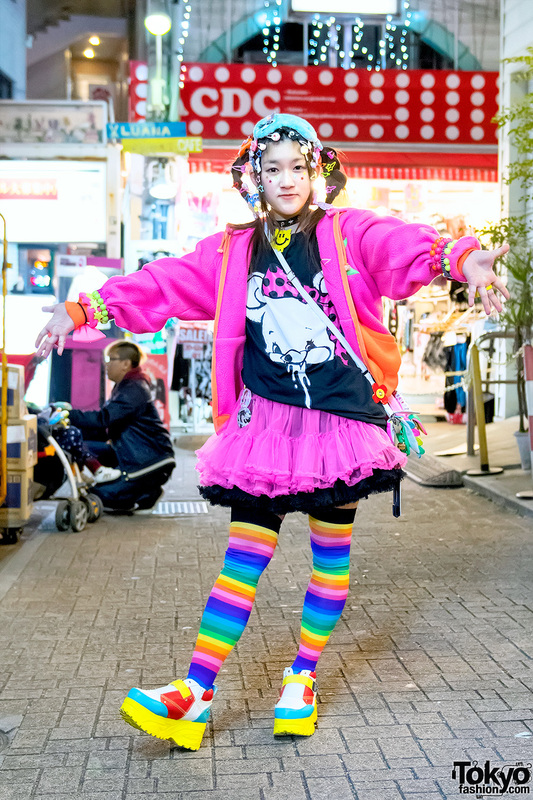 Colorful Harajuku decora wearing lots of fun hair clips along with platform shoes, a tulle skirt, a graphic bag, and rainbow socks. Colorful Harajuku street style with colorblock jacket, heart print skirt, pink platform boots, and Dance With Devils anime bag. 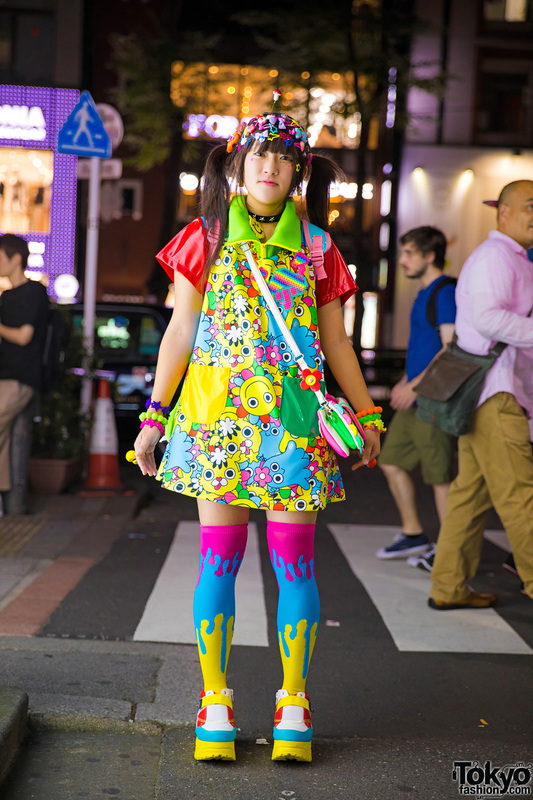 Harajuku kawaii girl in colorful fashion with kawaii dress, over the knee stockings, platform creepers and decora accessories. 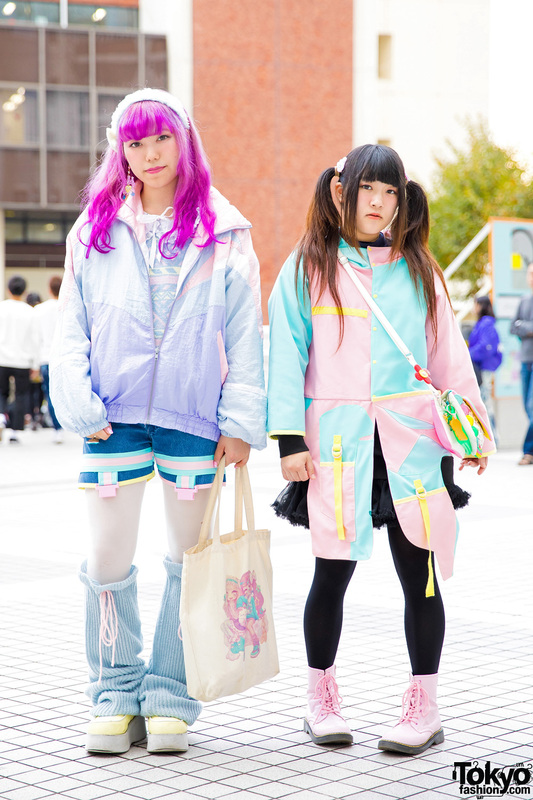 Harajuku girls with twin tails, wearing matching jackets with skirts, backpacks, plastic accessories and pastel shoes. Decora girl in Harajuku with braided hair and lots of colorful accessories, smiley face jacket over t-shirt and tutu, Little Mermaid backpack, rainbow socks and bow shoes. Kawaii Harajuku model wearing a Magical Girl dress, star-print tights, pink platform shoes, and a Finding Nemo backpack on the street after dark.